The new Novasina relative humidity, temperature and absolute pressure data loggers for various applications in the air environment excel with versatility, simplicity and data storage capacity. Essential keys of this system are the USB interface (offl ine readout) and the managed ethernet, TCP/IP connection (online) by which the-se data loggers transfer the detected data to a storage device, e.g. a PC. Another asset is the intuitive SmartGraph III software, which simplifies the management of the 3'200'000 data points that can be stored. 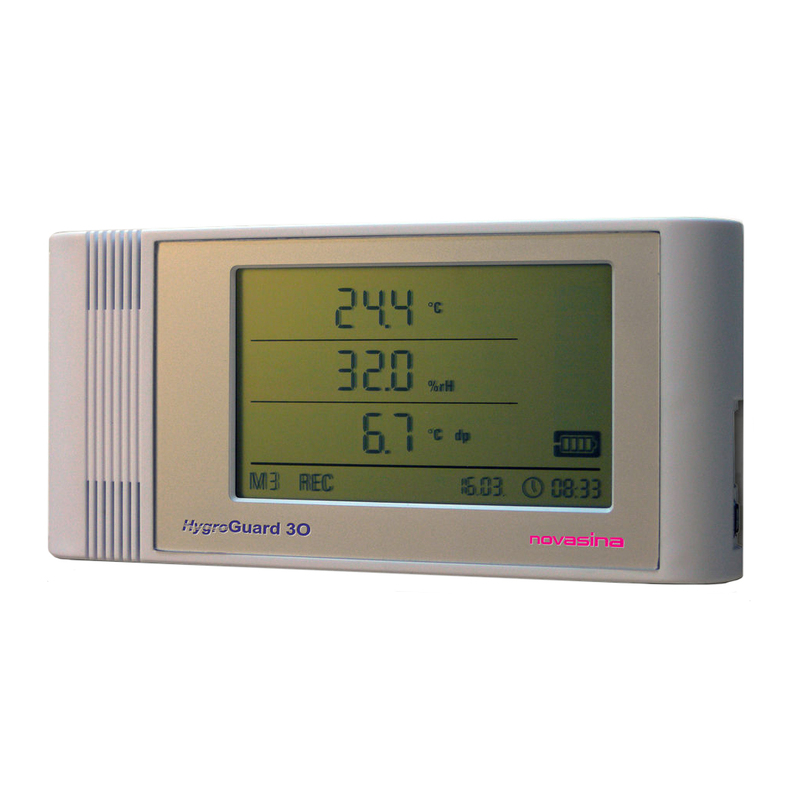 The big LCD gives a clear view about the actual measurement data as well as battery status, connections, actual date and time. The outstanding data storage capacity allows an independent function for a long period of time. Manifold confi guration possibilities such as settings of visual and acoustic alarms, data logging intervals, start/stop functions etc. make these devices versatile and flexible. These data loggers are the best choice for stand-alone or network applications in laboratories, warehouses, server rooms, archives, production processes, museums, basements, transportation and many more. Data recording and visualization stand-alone or network solution.